The Tanzania National Roads Agency (TANROADS), the government agency charged with the development, maintenance and management of trunk and regional roads, said that the Ubungo Interchange, a set of overpasses at a landmark intersection leading into Dar es Salaam, is 25% complete. The construction of the 266-meter interchange was launched in March 2017 and is expected to be completed in December 2020. It is part of the second phase of the Bus Rapid Transit (BRT) system of Dar Es Salaam (DART), a bus rapid transit system that began operations in May 2016 significantly reducing travel time and costs for many commuters in Dar Es Salaam. Dar es Salaam has a population of 4.4 million, which has been growing rapidly at a rate of 6.5% per year and is expected to become a megacity before 2030. The city has major congestion and mobility problems from a combination of rapid growth, an underdeveloped road network, an increase in motorization and port-through traffic, and the lack of efficient public transport. 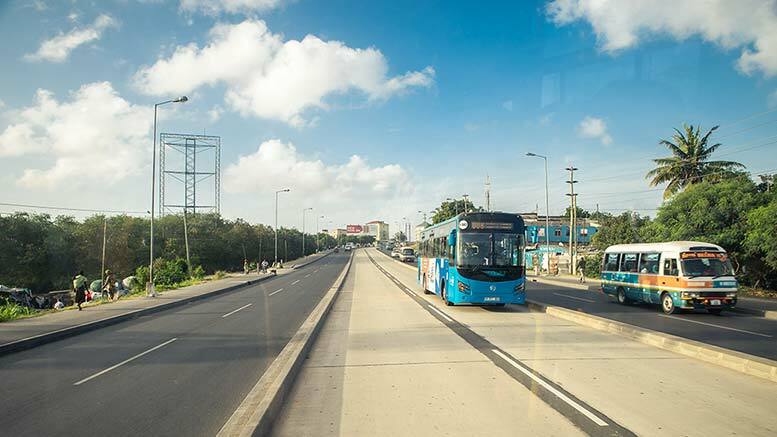 The Dar es Salaam BRT is planned as an extensive system of 137 kilometers of corridors to be built in six sequential phases. The project is funded by the World Bank (WB) and is being constructed by China Civil Engineering Construction Cooperation. Tanzania’s national air carrier Air Tanzania Company Limited (ATCL) has recently introduced new direct flights from Dar es Salaam to Harare in Zimbabwe. Tanzania’s national air carrier Air Tanzania has commenced flights from Dar es Salaam to Entebbe on 26th August 2018.